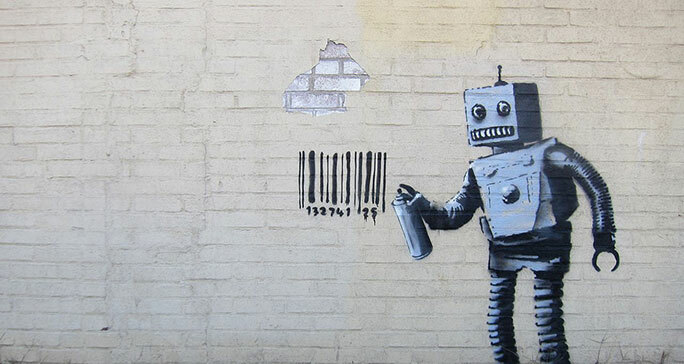 Twitter has admitted that as many as 23 million (8.5%) of its user accounts are autonomous Twitterbots. Many are there to increase productivity, conduct research, or even have some fun. Yet many have been created with harmful intentions. In both cases, the bots have been known to behave with questionable ethics. Twitterbots, however, are minor specimens of Artificial Intelligence. Humans are currently building far-more sophisticated machines which will face questions of ethics on monumental scales. Even in the mortality of human beings. Hard code them into their operating systems. The concern here is that ethics are subjective. The ethics in the machine are contingent upon the ethics in its creator. But we humans do not always align in our morality. We fight wars over ethical differences. So as we build autonomous machines to be ethical, we’re building within the confines of our existing disparities. Provide some guidelines, then allow the machine to learn its own ethics based on its own experiences. This passive approach leaves plenty of room for misinterpretations of morality, contingent upon which humans/behaviors are observed. Consider the recent meltdown of Microsoft’s Twitter AI, Tay, who was tricked into tweeting racist slurs and promotion of genocide based on a false inference of accepted ethical normalcy. A team at Georgia Tech is working on the latter, teaching cognitive-systems to learn how to behave in socially acceptable ways by reading stories. 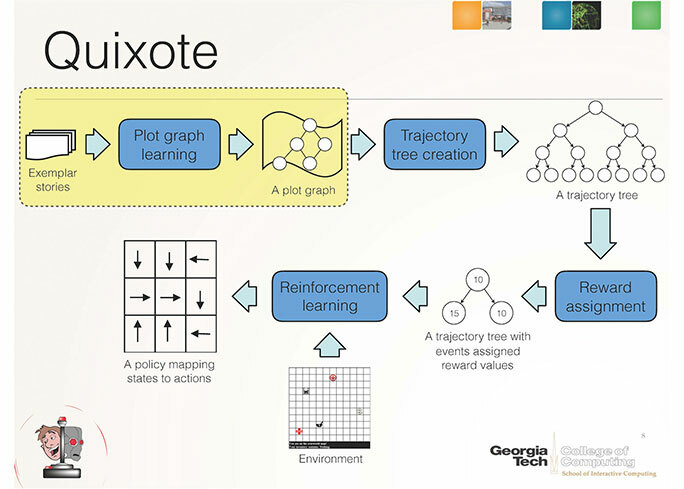 They are using a reward system called Quixote to help cognitive systems identify protagonists in stories, which the machines use to align their own values with those of human beings. 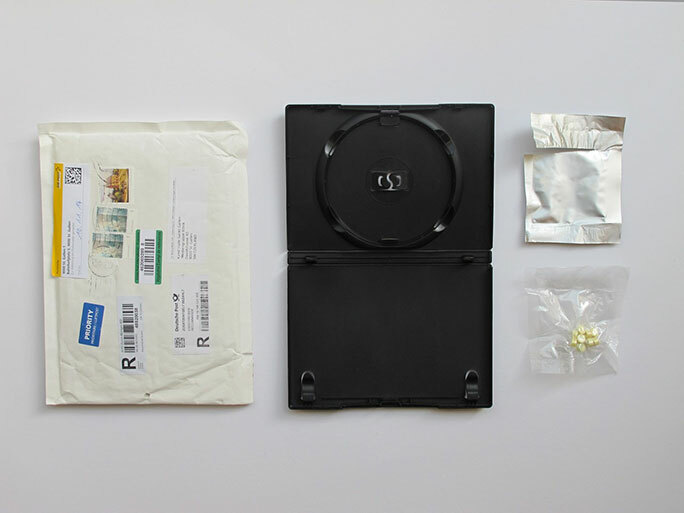 It’s unclear what methods Microsoft used with Tay. But if their techniques were preemptive, as with Georgia Tech’s learning system, we’re a long way from solidifying ethics in Artificial Intelligence. Now, all of this is based on the idea that a computer can even comprehend ethics. As Alan Winfield shows in his study Towards an Ethical Robot, when a computer encounters an ethical paradox, the result is unpredictable, often paralyzing. In his study, a cognitive robot (A-robot) was asked to save a “human” robot (H-robot) from peril. When the A-robot could save only one of two H-robots, it dithered and conceded in its own confusion, saving neither. The key factor in successfully building autonomous machines that coincide symbiotically with human beings is ethics. In both of these cases, authorities did what they could within the law, but ultimately pardoned the human proprietors because they hadn’t explicitly or directly committed crimes. But how does that translate when a human being unleashes an AI with the intention of malice? If the law does catch up, we may be writing our own doom. All of that talk about robots taking over the world? Maybe they just jaywalk en masse until we imprison so much of our race that we become the minority in autonomous beings. Checkmate. 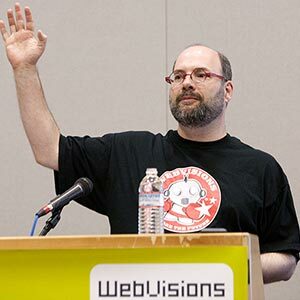 Mark Wyner has been working as a creative professional and technologist for nearly twenty years, partnering with Fortune 100/500 companies and non-profits to craft meaningful experiences for digital UIs and ecosystems in new technologies. He shares his thoughts as an international speaker and writer. 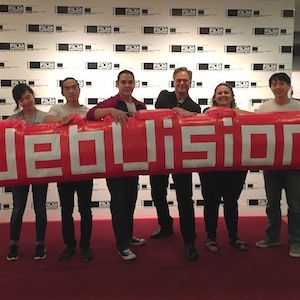 Mark is a WebVisions veteran having spoken at several events on AI, cognitive computing, and other important issues surrounding humans and technology. 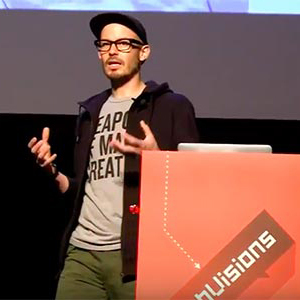 His upcoming talk at WebVisions Portland, A New Dawn of the Human Experience, will explore the “third era of computing” and cognitive computing. Follow Mark on Twitter @markwyner.